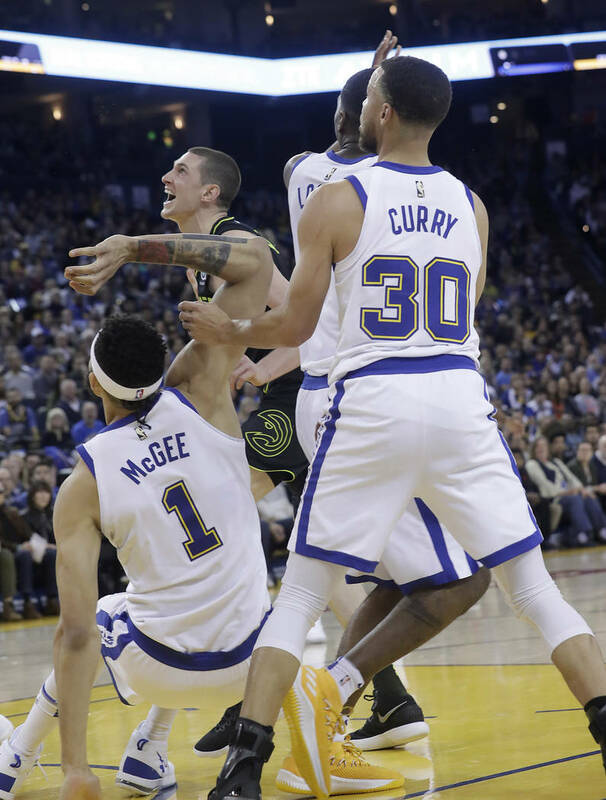 An MRI exam Saturday showed a Grade 2 sprain of his medial collateral ligament and the team said Curry would be re-evaluated in three weeks. 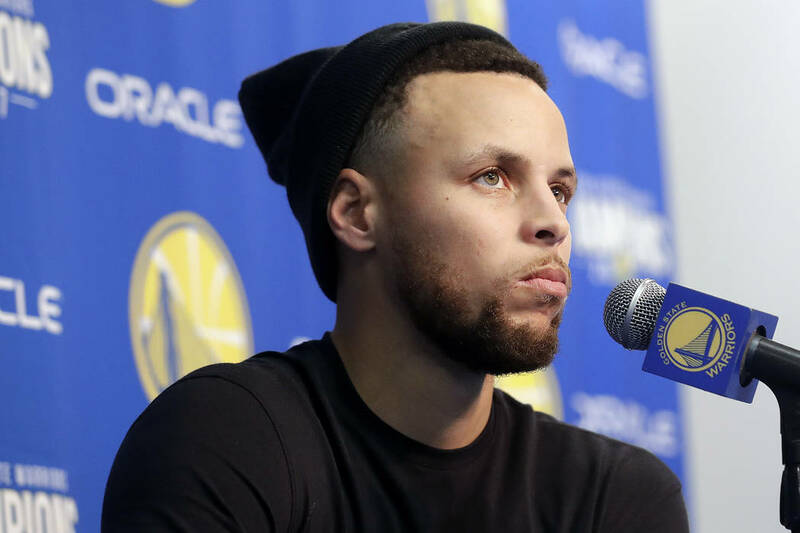 OAKLAND, Calif. — Optimistic as always, Stephen Curry is ready to prove Steve Kerr wrong and return from a left knee injury for the first round of the playoffs. Not that it’s entirely up to him. Kerr on Sunday ruled out the two-time MVP for the best-of-seven Western Conference first round. The Warriors are expected to be the No. 2 seed. 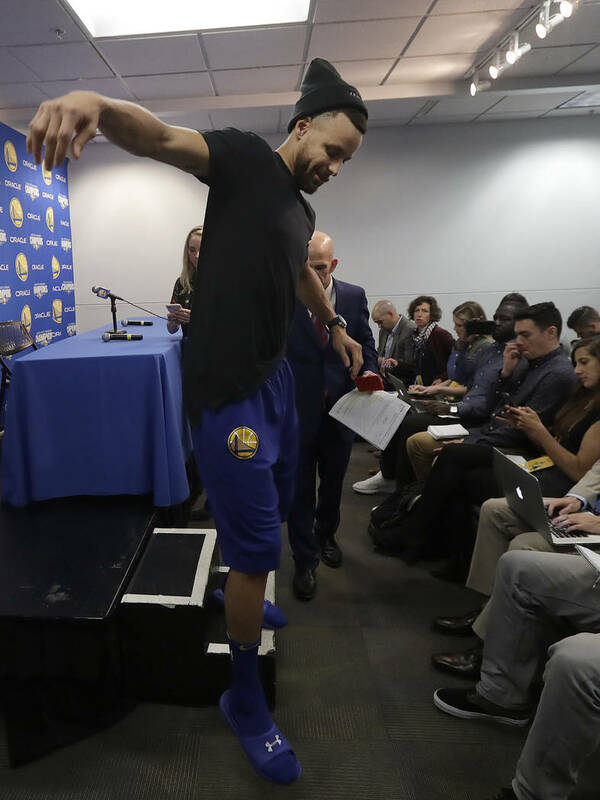 On Sunday, Curry limped up a couple of stairs to the podium for his news conference but didn’t need crutches, saying, “It’s nice that I’m walking and not limited with crutches or anything like that, so that’s a positive. “It’s frustrating for sure. 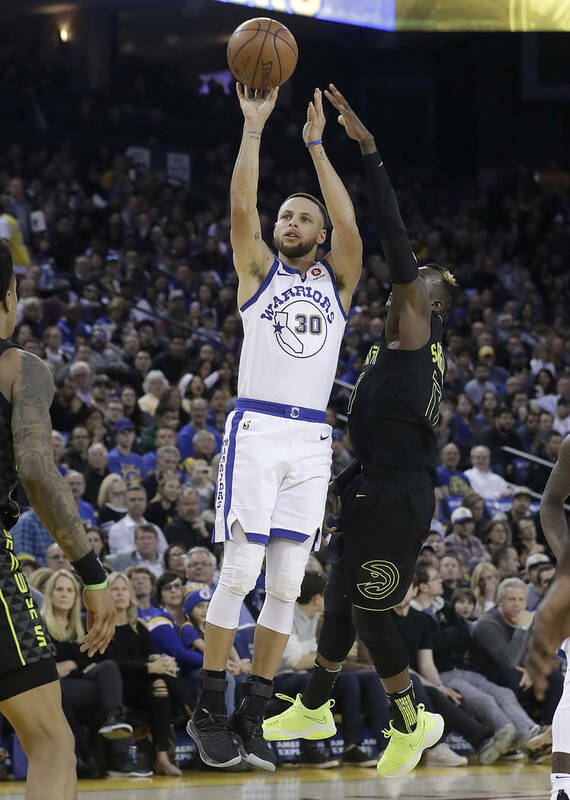 I’ve been champing at the bit the last two weeks ready to get back out there and try to finish out the regular season strong and gain some momentum going into the playoffs,” said Curry, who also missed 11 games in December with the sprained right ankle. This is somewhat familiar territory for Curry. In April 2016, with the Warriors trying to defend a title, Curry suffered Grade 1 sprain of his right MCL in Game 4 of a first-round playoff series when he slipped on a wet spot right before halftime of a win at Houston. 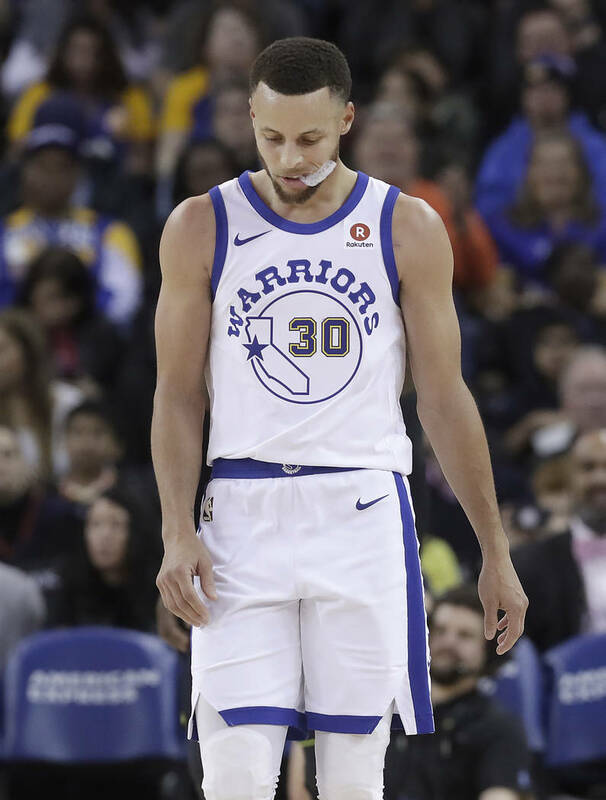 Sunday’s game against Utah marked the second time the Warriors played without their four All-Stars after Curry, Kevin Durant, Draymond Green and Klay Thompson all sat for a 107-85 loss on March 11, 2017, at San Antonio. But, that time Durant was the lone injured one of the group rehabbing a left knee injury while the other three simply rested. Green had been set to return Sunday but was ruled out with flu-like symptoms. Kerr expects both Durant and Green back as soon as Tuesday against Indiana, while noting “Klay’s coming along well” as he nurses a fractured right thumb.